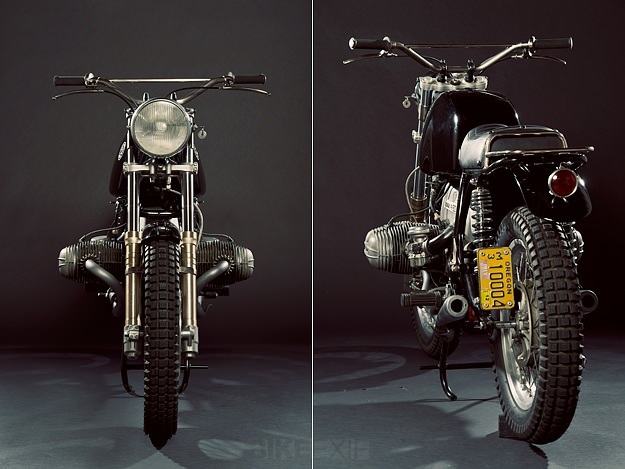 Custom motorcycles are often about sacrifice. As looks improve, functionality suffers. And most of the time, it doesn’t matter, especially if a bike is only ridden for short blasts, or down to a local watering hole. 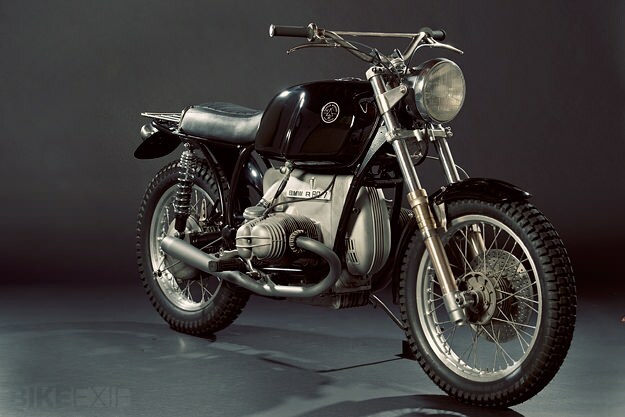 But it’s good to see the occasional long-haul machine given the custom treatment—like this 1978 BMW R80/7 from Crowe Customs of Portland, Oregon. Crowe is working with the bicycle builder Jordan Hufnagel on a project called West America, celebrating the idea of two-wheeled exploration: cross country trips involving gravel roads, swimming holes and carrying large loads. 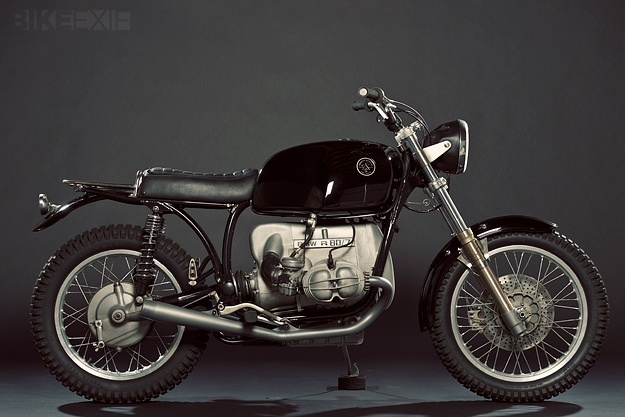 So the modifications to this R80/7 have a serious purpose. The front suspension is from a Suzuki DR650, which was a surprisingly easy fit. (“The DR650 bearing races are the same as the stock BMW ones,” Crowe notes.) To complete the install, a custom brake rotor was machined, along with new fender mounts. And at the back, Progressive Suspension shocks improve the ride. Crowe relocated the battery under the transmission and made a new subframe to match the curve of the custom rear fender. 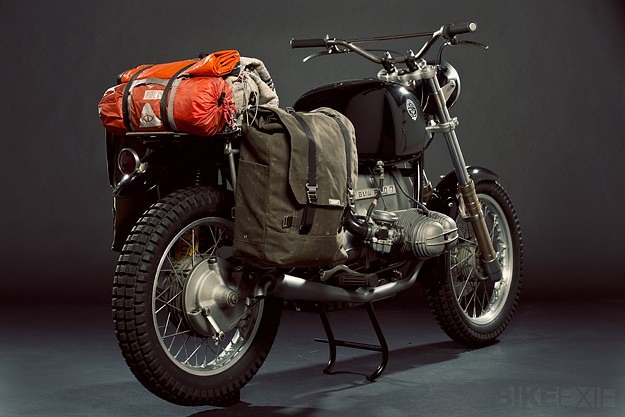 New Church Moto created the seat and rear rack, which is supplemented by pannier mounts and soft bags from Lemolo Baggage. There’s some trick engineering going on here too: the under-tank master cylinder is now actuated by a set of CNC-machined perches and levers, hooked up to an integrated throttle unit. 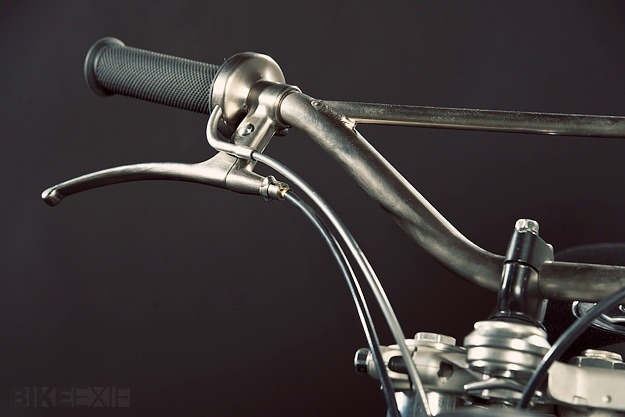 Crowe also made the bars, selecting a wide scrambler-style bend, and designed the ceramic-coated exhaust system. It’s a practical machine, as the image below shows. And believe it or not, there are even mounting points to carry a full-size MTB bike on the back. Head over to our Facebook page to catch a glimpse of that. Images courtesy of Jon Humphries.